Technology continues to advance in the automotive world. Ford understands consumers look at makes and models offering incredible technological advancements. The powers-that-be at Ford seek to exceed the technological expectations of tech fans greatly. The arrival of Ford Co-Pilot360 reveals an intriguing enhancement with future models. The technology suite found in the Co-Pilot360 system does more than providing a fantasy film-inspired ride. Safety benefits emerge as well. Two welcome features include emergency braking and the accompanying pedestrian detection. Driving in heavily congested areas comes with hazards and risks. These two features can't eliminate all risks, but do lend a hand to the safety-conscious driver. Another intriguing feature includes enhancements to cruise control. Cruise control will come with stop and go and lane centering. Hopefully, the feature adds to a smoother traveling experience. The arrival of the Co-Pilot360 suite comes with the new 2019 Ford models. 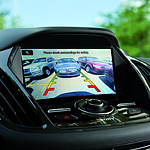 Customers who put a high value on technology might want to check these new models out at Mullinax Ford of Kissimmee.